Even though the title might imply something, this is not a tale of some bloodthirsty Subaru Legacy. This is about a family heritage, and of a hobby connecting generations of men. 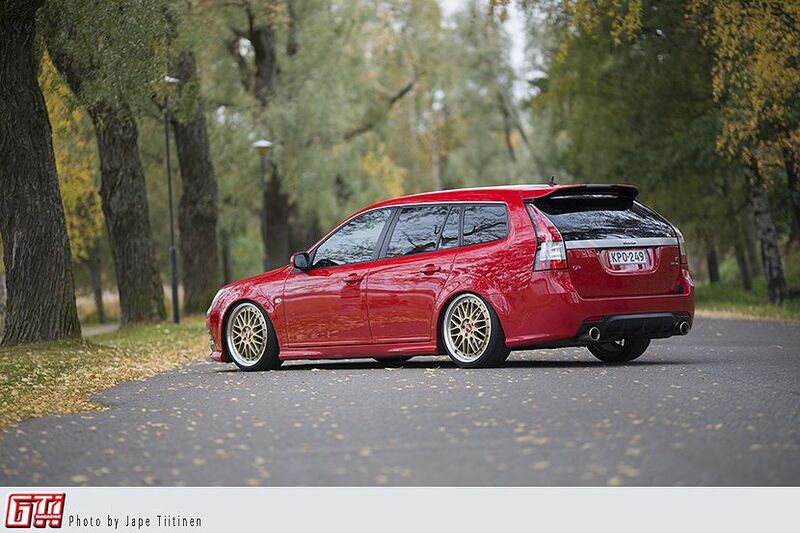 Some call Saabism a disease, but we reckon it's more of a noble obsession. 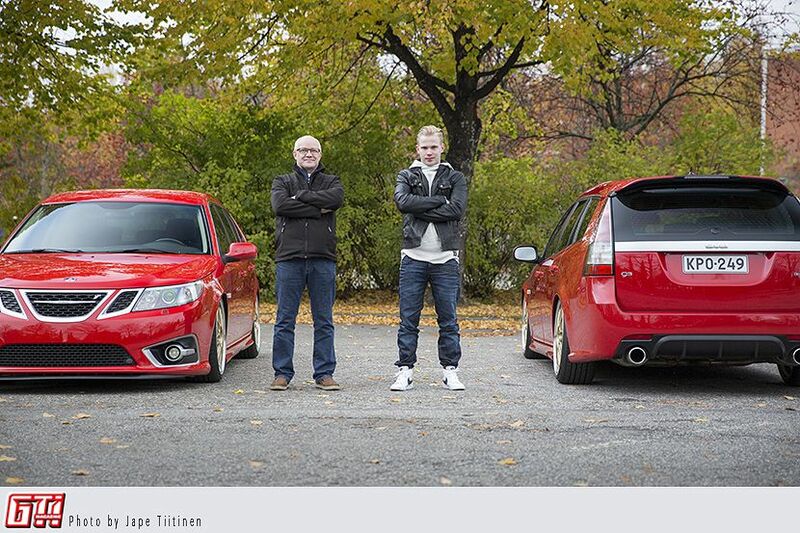 The family of Järvikallio has had Saabs since the '70s, and the youngest of these men is Joona, who represents the fourth generation of Saab enthusiasts in this family. 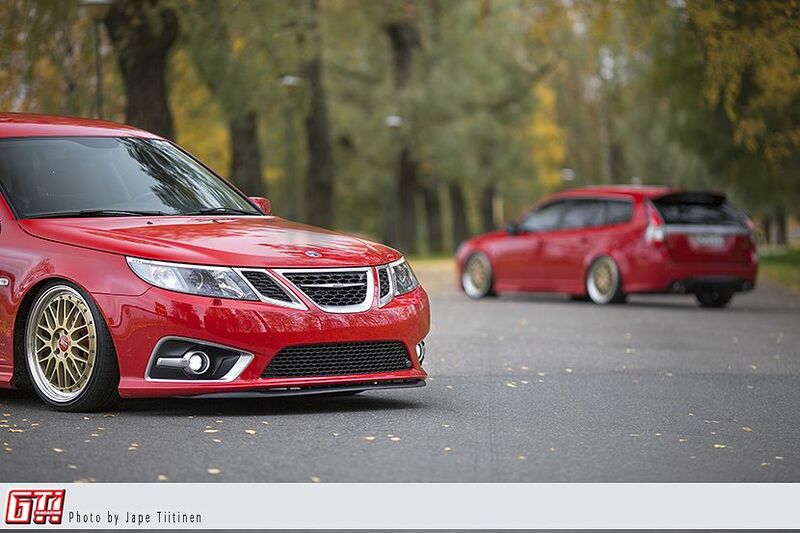 Joona's father, Rauno bought this 2011 Saab 9-3 SportCombi in the fall of 2012. This is pretty much one of the last Saabs to roll out of the factory in Trollhättan, after which the production ended. We have less than ten individuals of these MY12s in Finland, so it's not a common sight in these neck of the woods. 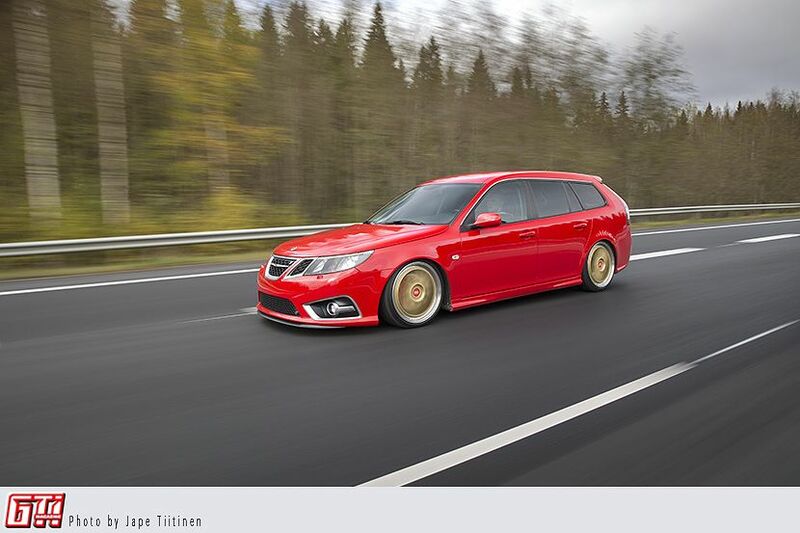 While Rauno was driving this 9-3, Joona was still tuning his Saab 900R, which is not something you stumble upon too often, either. 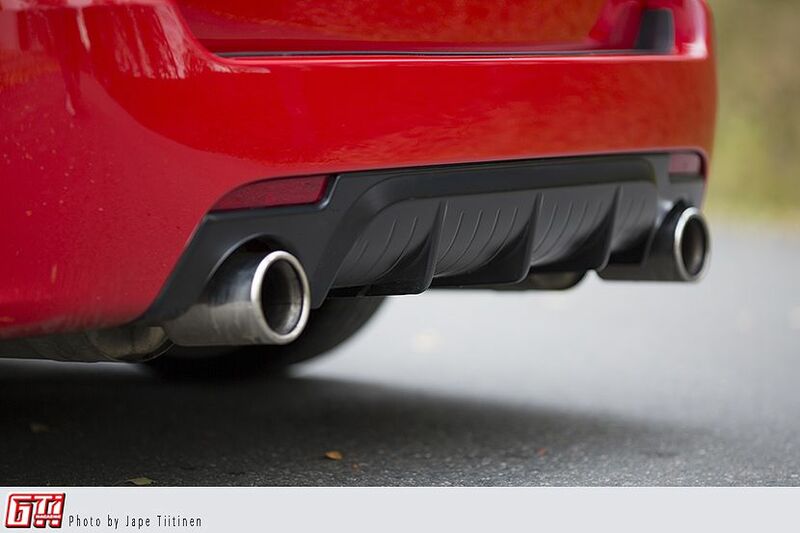 During the first winter this 9-3 car got some H&R -40mm lowering springs, a Ferrita catback exhaust and a rear diffuser by Hirsch, a Swiss company specializing in Saabs. After a long wait of six months the postman delivered a 9-3 Griffin Aero front bumper, which caused some major grey hairs for everyone involved during the painting. After three separate paint jobs it was finally ready for installation. During the summer of 2013 the car also got some window tints and a Hirsch rear spoiler. The tail lights are from an USDM model. In the fall of 2013 Rauno bought a damaged 2011 9-5 Aero from an auction, and after he did the whole ”Phoenix rising” -thing a year later, he was the owner of two cars. The torch was then passed, and the 9-3 was transferred to Joona. The Ferrita exhaust aids the reprogrammed ECU in generating some power, and now this 1.8T BioPower produces a healthy 230hp, which is 55hp more than in stock form. The interior of the car has been spiced with a new steering wheel, that is (unsurprisingly) made by Hirsch. The interior trim panels are painted to match with the exterior, as are the surroundings of the steering wheel's buttons. 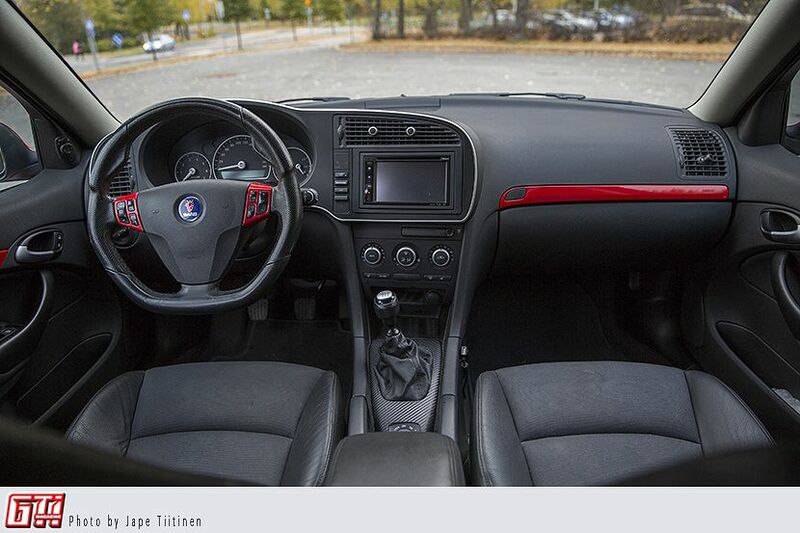 A Clarion 2DIN head unit makes the stock interior look a lot more up to date. The head unit was installed in 2015, as were a little bigger (314mm) front brakes and a Turbo X model's front spoiler. In the summer of 2015 Joona was asked to bring his car to X-treme Car Show. With that in mind he immediately ordered some BC-Racing coilovers in order to drop the car a bit more. He also tinted the front windows and upgraded the front grille (Hirsch). With these modifications he managed until the spring of 2016, when he stumbled upon some 8.5”x19” BBS LMs. He bought them immediately, but spent the following two weeks waiting for some hub rings and eccentric bolts to arrive from BBS. The lug pattern in Saabs is 5x110, and these wheels were 5x112, but as they say: where there's a will, there's a way to install bolts that make a different lug pattern fit.. Using iron springs it's pretty much impossible to go any lower than this. Joona even altered the connecting points of the struts, but still the car is at its limit, with noisy drive shafts and all. But worry not, since there is a cure for this: Joona will install air suspension during this winter. 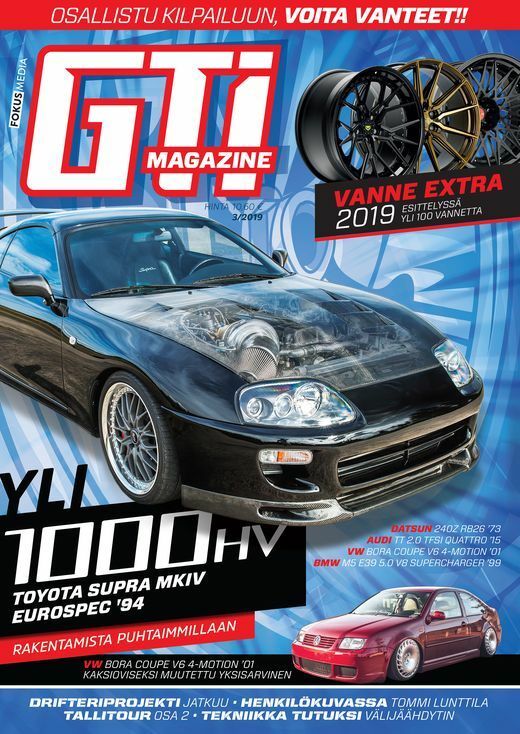 Anyway, it's good to see that Saabism hasn't been cured and the disease still exists, since cars like this are starting to be a little too rare. A low, red wagon cruising the motorway during our photoshoot gathered a lot of positive attention, and no wonder, since it really is a great specimen.